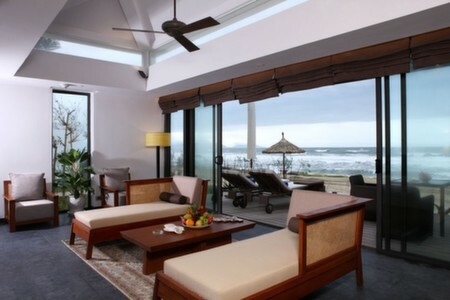 Luxuriously designed rooms, huge swimming pools and a fab beach location are just three of the reasons why we love the Sunrise Resort in Hoi An. 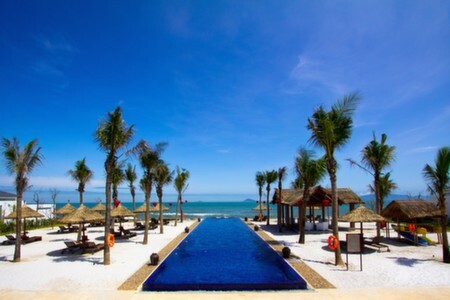 This is arguably the most upmarket property on this stretch of Cua Dai beach, which is a 10-minute drive from the UNESCO World Heritage Site of Hoi An. 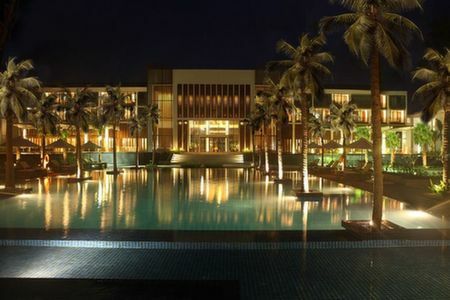 It has two stunning swimming pools; the Lagoon Pool, which is surrounded by lush palm trees, and a 34-metre lap infinity pool on the beach. Meanwhile its fitness centre has the latest state-of-the-art equipment that means you can even use the internet while working out. For those after something a little more relaxing, the resort?s spa is the perfect place to head after a ?hard? day on the beach. The rooms are fabulous here - we especially love the fact that there is no bad room - even the cheapest (the Deluxe) are extremely spacious and stylish, many with great Ocean views. As a large hotel with more than 200 rooms perhaps one of the only negatives is that the rooms are off rather long corridors that do not have as much character as the rest of the resort. 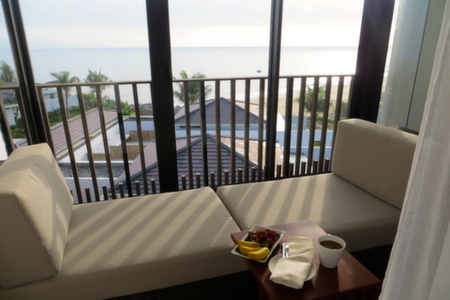 The Deluxe Rooms have either garden views or ocean views but all are tastefully decorated with balconies that have comfortable day-bed style seating. 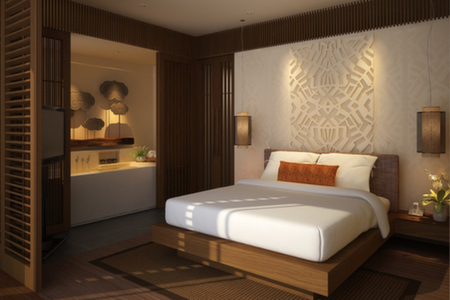 They boast 40-inch LCD televisions, dressing tables and spacious en-suites. The Sunrise Suites are more than twice the size of the Deluxe Rooms and have an expansive open-plan living area and a handsome bathrooms with large tubs and his and her sinks. The resort also has one and two-bed villas that are extremely spacious with lavish living rooms, bathrooms with double basins and tubs. Some one-bed villas also have private pools. 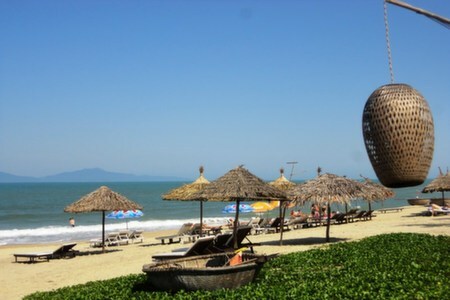 The resort has four very good restaurants and bars, but it is still worth dragging yourself into Hoi An town for a night or two as there are excellent restaurants with splendid river views to be enjoyed there. Sao Bien is the main restaurant with sweeping ocean views and an open kitchen, it specialises in seafood. 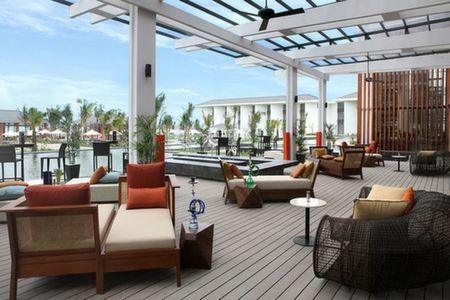 Meanwhile, Sensations is the only 24-hour dining establishment in Hoi An, offering a good mix of local and western food. The Sunrise Beach Bar has everything from milkshakes and fresh pastries to beers and cocktails. 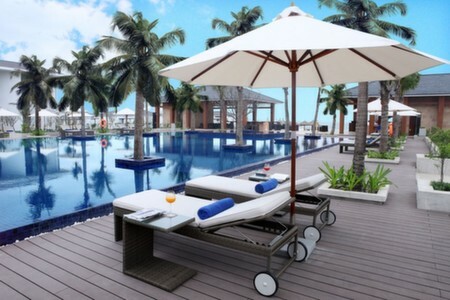 The resort is also unusual in that it offers an all-inclusive and half-board rate, which is unusual in Vietnam. Like all the beach resorts in Hoi An, the Sunrise battles against coastal erosion and at certain times of the year you will find sandbags along the edge of the water to preserve the beach. There is also a raised beach area that has been created by the resort.